Today book week had me at Ardtirnish PS. 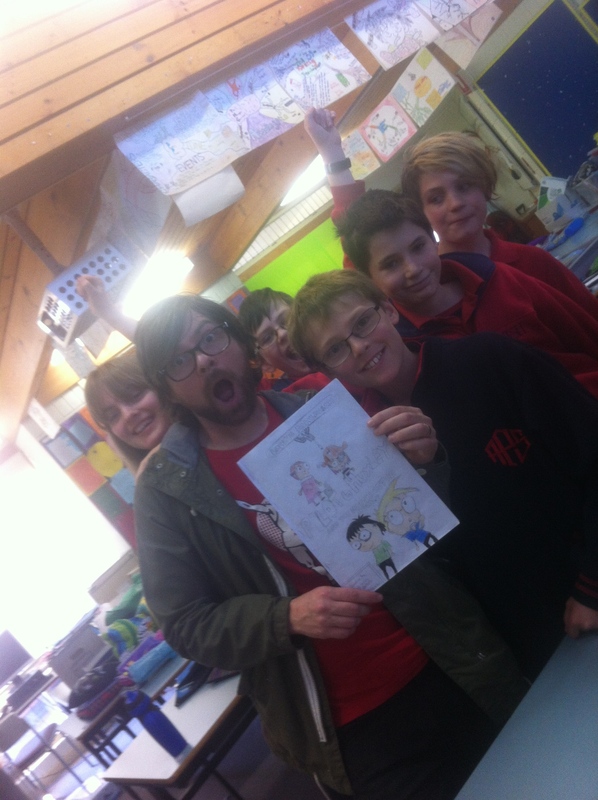 Here is me and some of the kids with a Pilot and Huxley comic made by Lochie. 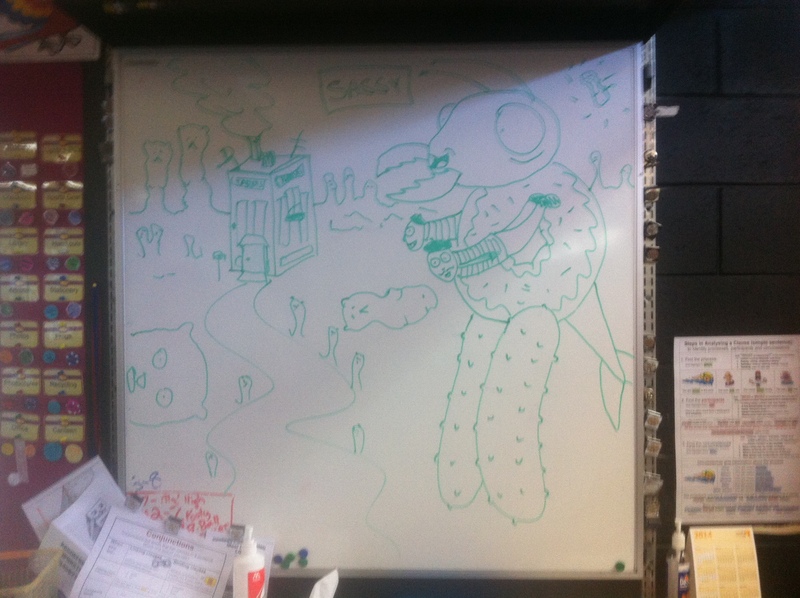 This is what the kids came up with in the character creation part of my talk. It’s Sassy the ant. 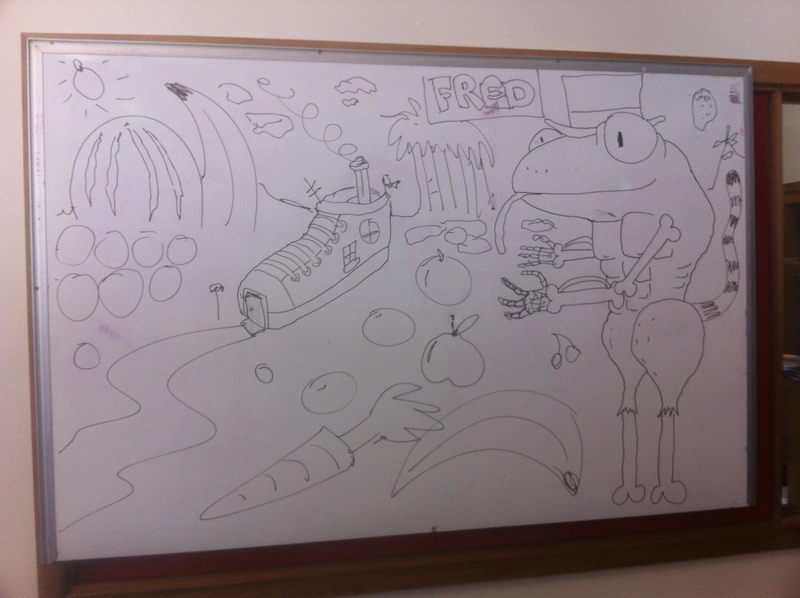 He has a donut body, pickle legs, Frenchman arms and a fish tail. He live in the Tardis in the land of Gummi Bears. I had a great day and everyone was super friendly. Day 4 of Book week found me at Hills Christian Community School. It was an awesome day of fast paced talks. Here is what the kids came up with in the character creation part of my talk. 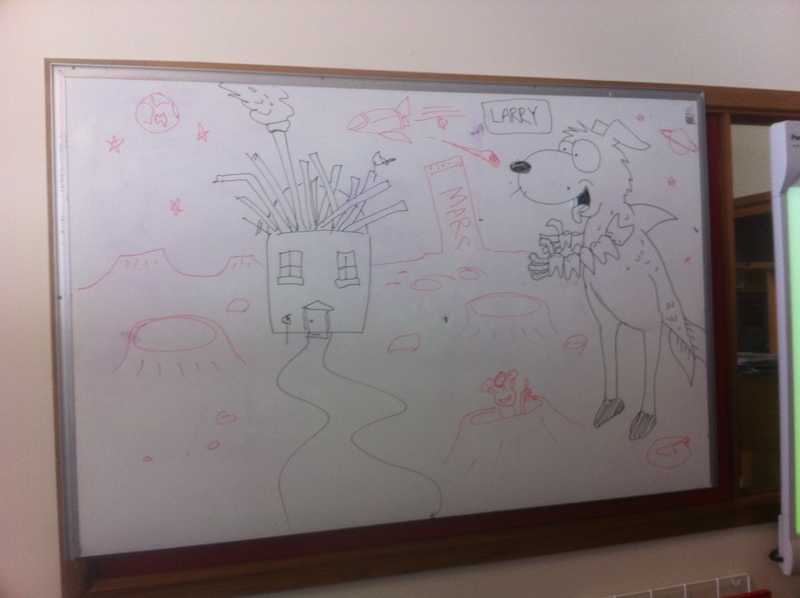 First up we have Larry the dog. He has arms that are made of teeth with fish finger fingers, horse legs and a fish’s body. He lives in a french fries house on Mars. 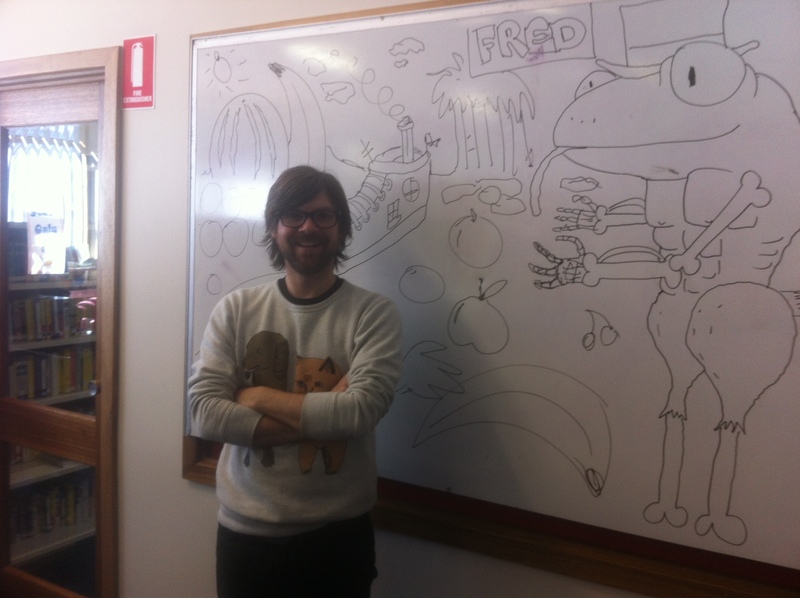 Next we have Fred the frog. He has skeleton arms, chicken drumstick legs, a muscle mans body and a tiger’s tail. He lives in a sneaker in the world of Fruit and veggies. 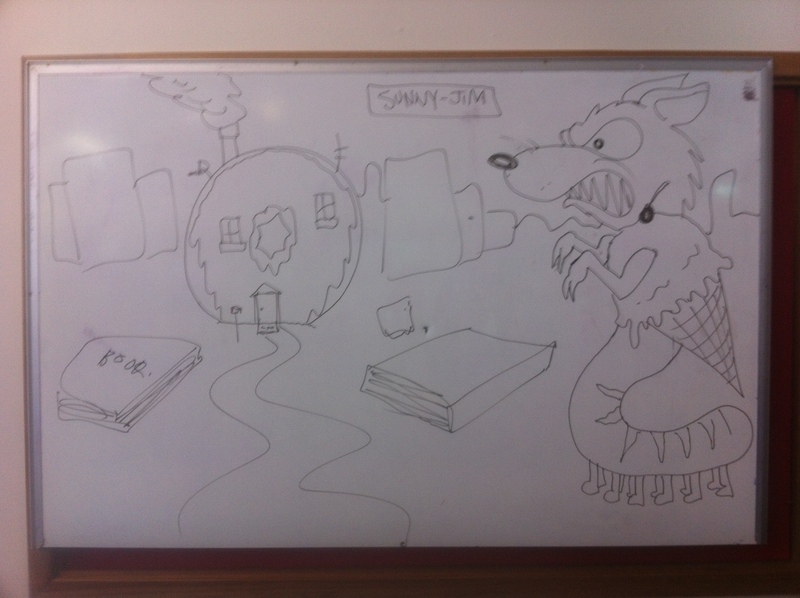 Here we have Sunny-Jim the wolf. He has T-Rex arms, caterpillar legs and an ice-cream for a body. He lives in a giant donut in the land of books. 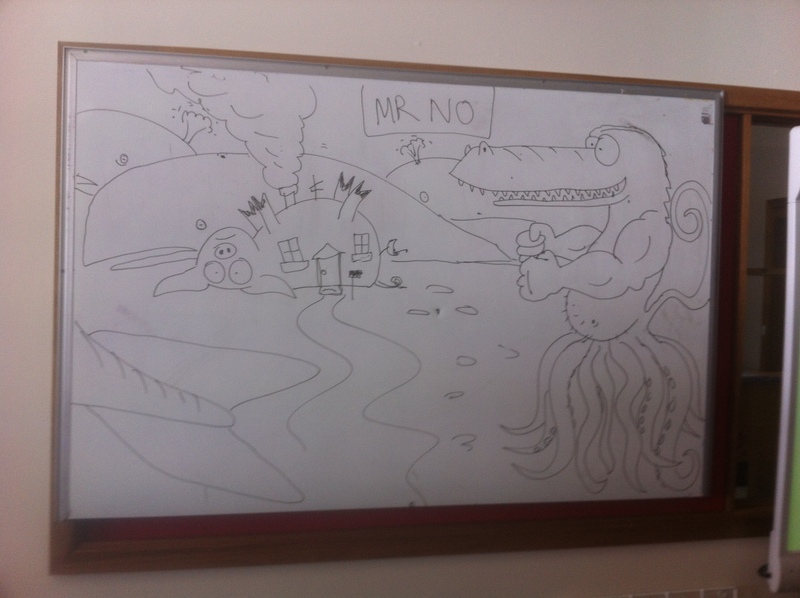 Last we have Mr No the crocodile. He has muscle man arms, octopus legs, a beer belly and a monkeys tail. He lives in a giant upside-down pig in the land of whales. It was a really fun day. All the kids and teachers were super nice. Thank for the awesome day guys!